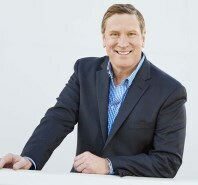 Rick Fedrizzi, CEO of the U.S. Green Building Council, is joining the International WELL Building Institute™ as its chairman and CEO, the institute announced July 6. Fedrizzi co-founded USGBC while he was environmental marketing director at United Technologies Corporation and has served as its CEO since 2004. He assumes the position of chairman immediately and will become CEO on Nov. 4, 2016. The International WELL Building Institute™ is a public benefit corporation whose mission is to improve human health and well-being through the built environment. It administers the WELL Building Standard™, which is an evidence-based system for measuring, certifying, and monitoring the performance of building features that impact health and well-being. "As we continue to grow and expand the adoption of both the WELL Building Standard and the WELL Accredited Professional program globally, we enthusiastically welcome Rick Fedrizzi into this leadership role to help lead IWBI to new heights," said IWBI Founder Paul Scialla. "I can't think of a person better suited to lead this process than Rick. His management experience and global vision will be huge assets to IWBI, and we couldn't be more excited to have him." "I'm very excited about the opportunity to take on a leadership role with IWBI and build upon the work we've been doing at USGBC," said Fedrizzi. "Our buildings and communities should help humans thrive. Sustainability plus health is a powerful lens through which to view the world, and WELL has approached this goal in a similar way to how we developed the LEED green building program." He said WELL works seamlessly with LEED to promote environmental sustainability and human health. "Leveraging the strengths of both USGBC and IWBI will advance a much-needed change in the improvement of the wellness and quality of life of our families, friends, and colleagues through a healthier, more sustainable built environment," he said. WELL Building Standard V1 was introduced in October 2014 and has received substantial adoption among developers, owners, landlords, and tenants. To date, WELL has registered and certified more than 200 projects totaling more than 45 million square feet across 21 countries. Fedrizzi serves on numerous boards and advisory committees, including the Center for Health and the Global Environment at the Harvard T.H. Chan School of Public Health, Bank of America's National Community Advisory Council, the Clinton Global Initiative's Scaling Sustainable Buildings Action Network, and Global Green. In 2015, he wrote "Greenthink: How Profit Can Save the Planet," which recently received the IPPY Gold Medal in the Public Affairs Category.